Looking for a Beautiful, Quaint and Convenient Location to build your dream home on in Salado, TX? If you are looking for premium property in Salado to build your dream home on, this is it! 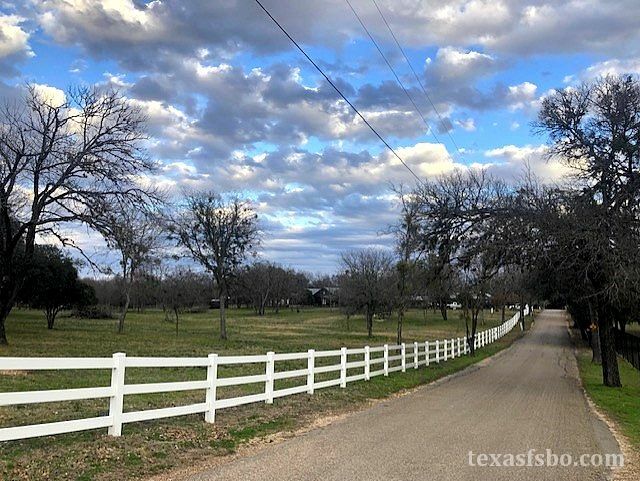 This 1.5 acres is special because it is located conveniently only 1 block from Main Street in downtown Salado, yet, it has a very quaint, quiet, country lane feel. It is one of the last prime residential lots left in Salado that has such a great location. This acreage has so much to offer! It has a water well that has been cleaned and tested and is in working order. There are trees throughout and a white 3-rail fence that runs along the front of the property. It borders an open rolling prairie, with lots of green grass, oak trees and grazing white-tailed deer. Directly across this acreage on Van Bibber Road, you have the same beautiful scenery. This is a beautiful area with great neighbors. You will be walking distance from all shops and restaurants on Main Street. It is ready to build on with electrical and water hook up already on the property. For more information, please text or call 254.493.7143.